We’re going to take a look at each of these elements individually, beginning with proper nutrition and self-care. What you put into your body and how you care for your body has a direct correlation on how fast you’ll build muscle mass. Proper self-care not only supports your body to build muscle, it also helps you recover more quickly. Rest assured, if you’re lifting heavy weights and breaking down muscle fibres, you’re going to be sore. That soreness will be greatly reduced if you take good care of yourself. Let’s take a look at nutrition first and then we’ll talk about the other components of good self-care. There’s a lot of misinformation about protein consumption and strength training. There are a few truths and we’ll focus on those. The vast majority of the population doesn’t get enough protein in their diet. They focus instead on starchy carbohydrates like bagels, cereal, pizza, and fries. Studies vary on their recommendations, but most agree that around 1 gram of protein per pound of bodyweight is ideal for an athlete. If you’re sedentary then you can cut that number down to about .8 grams per pound of bodyweight. That means if you weigh 150 pounds then you’ll want to consume 150 grams of protein each day. Keep in mind that protein is in everything from cereal to carrots. You don’t need to, and probably shouldn’t, consume 150 grams of protein from meat. And it adds up quickly. For example, there are 31 grams of protein in a single chicken thigh. And your average quarter pound hamburger patty has 20 grams of protein. If you have about 4 ounces of protein at each meal and you have a protein shake after your workout, you’re probably getting what you need. Why all the fuss about protein? It’s necessary to help ensure your body’s many systems stay healthy and strong while you’re training. It helps facilitate muscle repair, and if you aren’t getting enough then your body will deplete your other tissues in order to get what it needs. 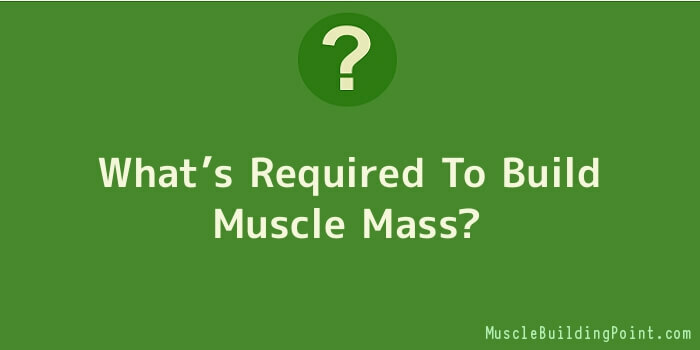 That means you risk muscle wasting as well as a weakened immune system and organ dysfunction. You don’t have to eat meat to get your protein. If you’re a vegan or a vegetarian there are alternative sources of protein to consider. Nuts, beans, and seeds all have protein, as does dairy and eggs. For example, a half-cup of tofu has 10 grams of protein. When you’re looking at post-workout protein shakes, pea protein, hemp, soy and egg white protein are all alternatives to whey protein, which is the most common protein supplement. Protein is only one component of a healthy diet. It’s vitally important that you eat mostly vegetables and fruits with your protein. The starchy carbohydrates that make up so much of the average person’s diet not only won’t help you lift heavy weights; you’ll be hard pressed to get rid of that layer of fat that’s hiding your beautiful muscles. So let’s talk about sugar because that’s exactly what those starchy carbs are: sugar. There are entire books on why sugar is bad for you. It causes system wide inflammation, and inflammation is the instigator for every type of disease. Too much sugar causes your body to store it in the form of fat, and it causes resistance in your cells which leads to diabetes. And everything from your morning orange juice and bowl of cereal to your late afternoon protein bar has sugar in it. If you want to burn fat and build muscle then the sugar has to go. Begin replacing your junk food with healthier alternatives. Instead of a muffin, have a banana. Instead of having cereal for breakfast, have an egg and an avocado. No one is suggesting you stop eating carbohydrates as long as they’re in the form of a fruit or a veggie and don’t have any added sugar. This goes for your sports supplements too. Look for protein shakes that don’t have any added sugar and instead sweeten your shake with fruit. For example, coconut milk, a frozen banana, a scoop of cocoa powder and protein powder make a tasty treat. There are bars that also don’t have any added sugar and are sweetened with dates and other naturally sweet ingredients. Reducing your sugar intake isn’t something that happens overnight. Sugar is addictive, so going “cold turkey” can cause a whole host of side effects that most people just aren’t prepared to deal with. Instead, try replacing your worst offenders with healthy choices. If you drink soda daily, replace it with water and so on. Keep a daily food journal to help you identify which foods contain the most sugar. This simple step of reducing and hopefully eventually eliminating added sugar from your diet will produce dramatic results. You’ll lose weight and you’ll begin feeling strong and energetic, which is exactly what you need for your strength training program. If you need help avoiding the temptations of sugar you might be surprised to learn that fat can help. The information we’ve been given about fat has been dead wrong. Doctors and the food industry have been telling us that if we eat fat, we’ll get fat. In truth, we’ll get fat if we eat sugar. If we eat fat, well… we digest it and life goes on. In fact, there are some fats that are extremely good for you. You’ve probably already heard tons about Omega fatty acids so we won’t go into great detail about them. They help improve organ health, fight inflammation and will help your post-workout recovery. Many athletes take a fish oil or Omega-3 supplement on a daily basis. There are also these lovely fats called medium chain fatty acids that have been shown to boost metabolism. When you’re looking to add healthy fats to your diet look at avocados, nuts and seeds, fish, and coconut oil. Olive oil is another healthy fat to add to your diet. The fat helps your body and the natural food sources have fibre and antioxidants. The cookie not only provides your body with absolutely nothing but calories, it can also harm your body with the processed sugars, flours and fats.